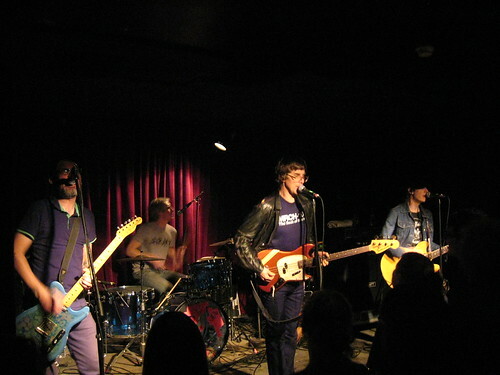 Sloan is currently on tour to support their new five-song EP Hit & Run, and the Canadian alt-rock legends were in town for two local shows this past week. At Bell House on Friday night, Sloan bassist/vocalist Chris Murphy remarked that since the band only had to learn five new songs, the setlist would include a bunch of older numbers. As the packed-to-the-rafters crowd chanted their never-ending “Sloooooann” and sang along to every word, the band performed material dating back to 1996’s Juno Award Album of the Year One Chord or Another and best album nominee 1998’s Navy Blues, while selecting only a handful from their late 00’s output. The rowdy crowd demanded an encore and the band ultimately returned for four of them. We recorded this set from our usual location in this venue and combined the audience microphones with a soundboard feed. While the crowd is abundant on the audience feed, the mix of the two sources reduces the crowd noise to a level that captures the feel of the venue without distracting from the listening experience. Enjoy! Acidjack recorded the Maxwell’s show at that recording will be posted tomorrow. 13 Where Are You Now? 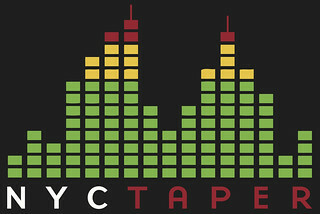 If you email nyctaper for access to this recording, we expect that you will PLEASE SUPPORT Sloan, visit their website, and purchase Sloan’s official releases, which are all available via digital download at the website in mp3, apple lossless and FLAC [HERE]. love your site, you do a great service, but…where’s the rest of the slumberland show? just being greedy wanting to hear it all as i saddly live in ohio and not nyc! Ropers will be posted in the next couple of days, and the rest will come soon thereafter. Setlist help would speed things along. Thanks, great sounding Sloan show! Been following these guys since ’93, always wanted to see them live and finaly had my chance when they opened up for The Police here in Edmonton Canada. Thanks again – keep up the good work!